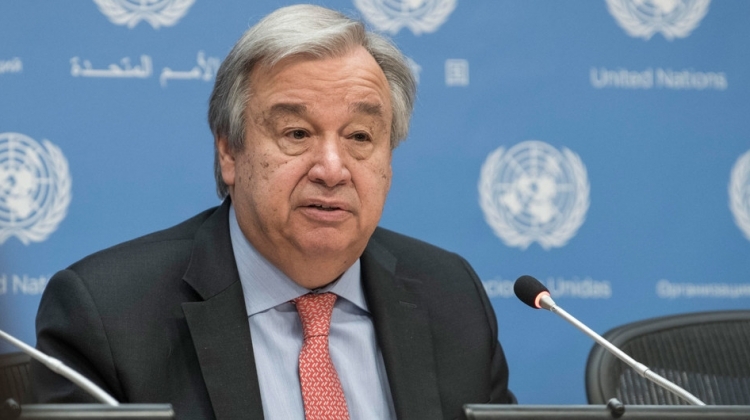 “In all these efforts, my message is clear: I want staff to feel confident about coming forward instead of staying silent for fear of retribution or flawed inquiries,” said Secretary-General António Guterres at a press conference on 12 July at UN Headquarters in New York. [I] would like to provide an update on our action to tackle sexual harassment. This scourge affects every corner of every society — and the United Nations is no exception. As I said from my first day in office, this challenge is deeply rooted in historic power imbalances. We live in a male‑dominated world with a male‑dominated culture. This is one reason why ensuring gender parity and the empowerment of women and girls is central. I am determined to do all we can to tackle sexual harassment — at the Secretariat and system‑wide in the United Nations. In the Secretariat, we have taken a number of unprecedented steps. Let me be specific. First, I have created a specialized team within the Office of Internal Oversight Services to focus on sexual harassment investigations. Last week, member States in the Budget Committee approved my proposal for the creation of six new investigator posts specializing in sexual harassment. This week, we are conducting interviews with a focus on recruiting women with expertise in such investigations. Indeed, two thirds of the candidates are women. At the same time, we are ramping up our broader internal investigative capacity — rapidly filling posts that are available. Twenty‑six investigator positions have been filled since I took office, with the vast majority receiving training that included the sexual harassment dimension. These of course are beyond the six new specialized posts I mentioned. And of course this training relates to a number of issues, but improvement in the skills of interviewing and the capacity to deal with the psychosocial aspects of trauma. Second, we have fast‑tracked and streamlined procedures to receive, process and address complaints on sexual harassment. All sexual harassment reports are now considered Category 1, which means they will all be investigated by the Office of Internal Oversight Services, not using any of the intermediate areas of investigation that in the past were possible. At the same time, we have defined three months as the target in relation to investigation processes. We have determined, as well as in sexual exploitation and abuse, to have a victims‑centred approach in investigation. Our new whistle‑blower policy is also a strong complement to these efforts. Third, a 24‑hour “Speak Up” Secretariat hotline is up and running for staff to confidentially report situations of sexual harassment and to seek advice. Fourth, we have completed the terms of reference and bidding for a first‑of‑its‑kind Secretariat staff survey to better understand our colleagues’ perception on the prevalence, nature and experience of sexual harassment. The survey will now be launched. Fifth, we have revamped mandatory training on sexual harassment this year — more than 14,000 staff have already completed it. But all of that is not enough. Since the challenge is system‑wide, our action must be as well. I have encouraged agencies throughout the UN family to adopt similar measures, agencies that are not under my direct control. 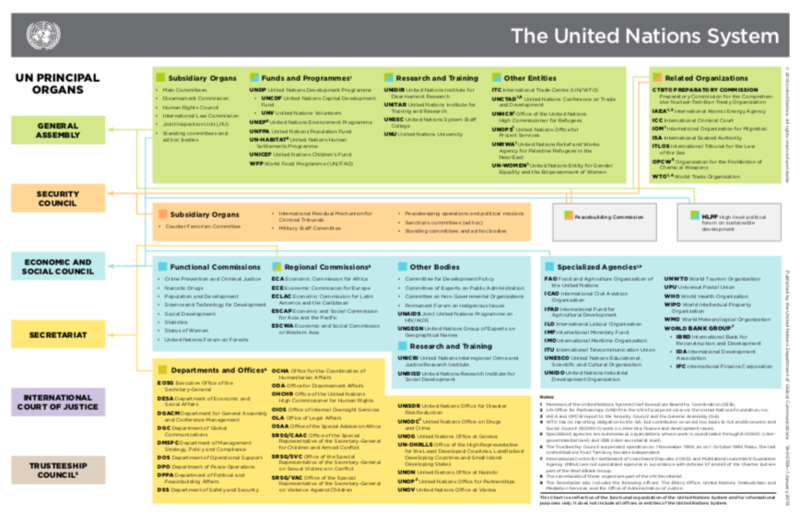 At the November meeting of the UN Chief Executives Board, I created a Task Force that has taken a number of steps. We have launched a new screening database of confirmed perpetrators from around the system so they are not rehired by another part of the UN, as unfortunately has happened sometimes in the past. We are harmonizing policies and principles and sharing best practices. In all these efforts, my message is clear: I want staff to feel confident about coming forward instead of staying silent for fear of retribution or flawed inquiries. To those who have stepped up to share painful personal experiences, I thank you for your courage. I know it is not easy. But you are helping to shape a better working environment across the world where all can enjoy respect and dignity. I am absolutely committed to this effort. Zero tolerance in words must mean zero tolerance in deeds. Thank you.